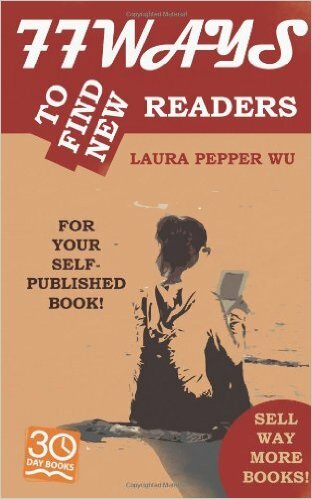 77 Ways to Find New Readers, by Laura Pepper Wu, Reviewed. I gained this as a free download for reasons I can’t now recall, but I would have happily paid the full asking price. Not all the methods propounded in this slim volume are new to me, but many are. And it’s good to have the whole collection in one place. One aspect of the book that I have yet to take full advantage of is the many links to the associated websites and posts. But the one I tried first actually led not only to a very persuasive post about why writers should publish in print form as well as digital, but provided further links to sites of interest to those minded to take the advice. Having quickly explored more of the links, I’ve discovered that this further linking is common amongst the various topics covered. The book is sectioned into the 77 ways, making each piece of advice easy to deal with and to follow. I read the book on my iPad, which I find awkward to use for internet research, but I also have it on my iMac, which is where I will now follow through on all those links that apply to my particular books. Reading the book has left me full of that enthusiasm and inspiration that lifts the spirit and leads to action. And I’m writing this review straightaway, so that I can actually get on with applying the advice to my own books. If you’re a writer, this is a book definitely worth exploring. At Last! Back on my Website! Cut The Fat; Make Your Writing Lean: #Tip 09. Sounds like yet another essential book that I need to read. Definitely worth the price, Mick. This is an ebook I found most useful, too. Thanks for reminding me to bring it to the fore once again. More work to do, eh, Linda?